Maralbexi County in Xinjiang is to get China’s first Tabobao elementary school with the aim of getting children familiar with the online world. The school is part of Rural Taobao (农村淘宝), Alibaba Group’s initiative to turn China’s large rural population into Tabao retailers—and consumers. The school is in Seriqbuya town (Selibuya) around 180km east of Kashgar. The town has a checkered past, but the Group unveiled its school there on August 26 and delivered RMB 1 million worth of goods for the children. Alibaba Group and the local government will cooperate to bring the children distance learning, including learning about the internet, according to local media (in Chinese). Distance learning has recently become popular among students in China, not to mention big business. Teachers and lecturers are offering videos or live streaming of their classes which are watched by large numbers of students and are turning some teachers into celebrities earning thousands of dollars an hour. This is not Alibaba Group’s first foray into education. The group has offered various business school classes, mostly workshops for helping retailers improve their online stores and selling practices. The Group is also opening a not-for-profit bilingual private school in its hometown of Hangzhou for up to 3,000 students from kindergarten through the end of high school. 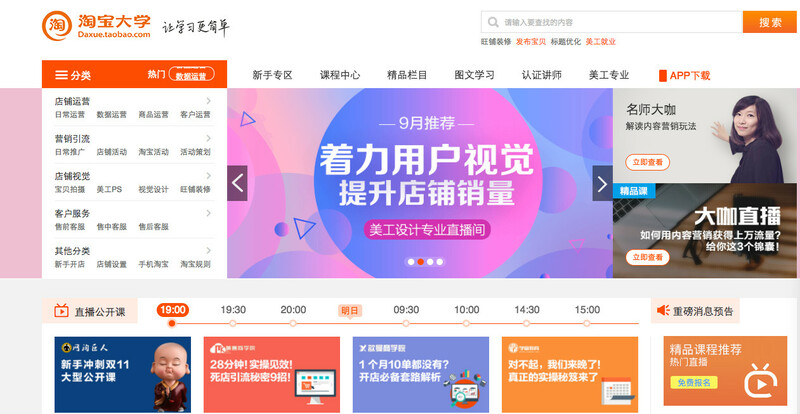 Alibaba opened Taobao University, a whole portal of self-teaching or platform for connecting with teachers. Alibaba’s Jack Ma, China’s biggest philanthropist, has funded less commercially-minded education ventures and set up the Alibaba Foundation. Chinese companies are going increasingly global and high profile in their charity work, with ofo recently partnering with Rihanna for their work in Malawi.